Last week, work on the newly refurbished Azamara Pursuit was completed in the Northern Irish capital of Belfast – marking the first project of its kind on British soil in many years. Following her arrival into the port on 4th April 2018, she underwent an expansive process that saw a total of £50m spent on revitalising the vessel. Emblazoned with dark blue colours and a series of public spaces that are synonymous with the rest of the Azamara Club Cruises fleet, she is finally set to embark on her first sailing out of Southampton. The ship will complete a series of sailings out of the southern English port until 28th August, when her christening ceremony will take place in the city. In a former life, she sailed under the name of Adonia for P&O Cruises, having joined the line in 2010 and entering service in 2011. Up until her retirement with P&O Cruises, she was the line’s smallest ship, offering capacity for a total of 777 passengers. Under the line, she was an immensely popular vessel, with a number of passengers preferring her intimate surroundings compared to those of her larger sister ships. Her departure from the fleet was announced shortly after the line confirmed they would be launching a brand new vessel, to be named Iona, with capacity for 5,200 passengers. Following the news of her departure and imminent switch over to Azamara Club Cruises, Azamara Pursuit was inundated with requests from passengers looking to continue cruising aboard the former Adonia. As a result, the line made the decision to operate a number of sailings out of the UK and even give her a christening ceremony. She will become the first ship to receive such a ceremony and also the first to receive an official godmother. This honour will be shared by two women who have both made significant contributions to the cruise industry. Travel Weekly Editor-in-Chief, Lucy Huxley, and Ellen Asmodeo-Giglio of AFAR Media will both look over the ship when she sets sail. Azamara Pursuit will embark on a 15-night sailing to Iceland on the 13th August, taking passengers out of Southampton to a series of breath-taking natural sites and charming cities including Reykjavik, Isafjordur and Seydisfjordur. The ship will also call in the Northern Irish capital on her return leg, enabling passengers to look around the city in which she received her expansive refurbishment. Upon her return to Southampton, the christening ceremony will take place on the 28th August before she embarks on the ‘Wine & Romance’ itinerary, taking passengers to destinations throughout France, Portugal and Spain. 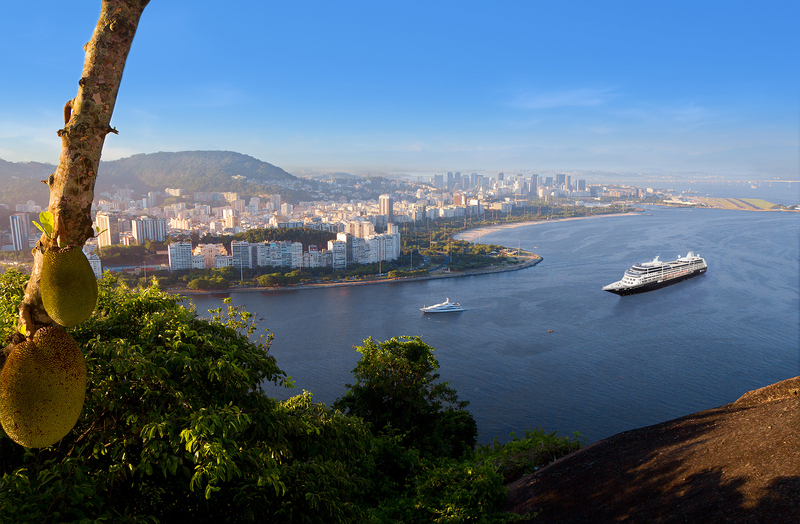 Azamara Club Cruises is renowned for offering passengers a range of immersive experiences, with more time in each port of call and insightful excursions. Onboard the ship, an enrichment programme comprising of lectures from guest speakers and entertainment create an environment that ensures curious and like-minded passengers return time and time again. For more information about the full range of cruises departing out of Southampton, contact our friendly Cruises from the UK sales team via the freephone number above or complete the online enquiry form.